WWII is over and the troops are coming home. 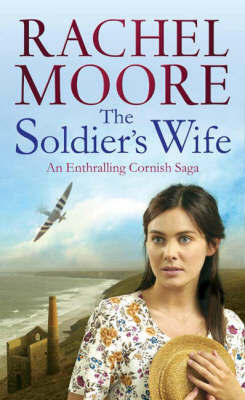 Four women who live in a small village near Penzance await their husbands' return with mixed emotions. Carrie Pollard is excitedly awaiting the arrival of Archie, her POW husband. Still feeling like a newly-wed despite several years of separation, all she wants is the chance to leave her parents' cramped home, to feel like a proper wife and to start married life in a prefab. Gwen, meanwhile, devastated when her husband's ship was torpedoed and he was listed as missing, presumed dead, threw herself into a series of love affairs. Now she's had a telegram to say her husband is coming home. Shirley became pregnant by an American GI, but had an early miscarriage. She is now full of guilt and doesn't know whether to confess to her fiance. Velma, the oldest of the four women, became a bus conductress while her husband Stan was away driving tanks. Having tasted independence for the first time, she plans to ask Stan for a divorce.With life returning to a fragile normality, and more than one buried secret being unearthed, the four friends discover that they are not the only ones to have changed, mentally, physically and emotionally. Their men have returned with their secrets too - and nothing will ever be quite the same again.